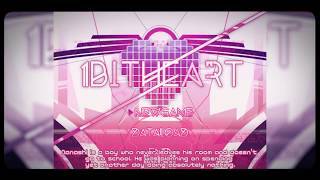 1bitHeart on the Playism Store | Bringing a different breed of indie game to the world. This is the story of a world in which pretty much everything is controlled and watched over by computer programs.One day, Nanashi―a young boy who has been cooped up in his room―meets a mysterious girl. This title was originally a free game, but the paid version includes specially added events, Steam extras etc. What do you think about 1bitHeart? I'm △○□× (Miwashiba). I'm usually working as an illustrator. For games my main job is focusing on the design and production.